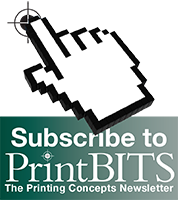 Non-Profits: The Value of Saying Thank You - Printing Concepts, Inc.
As a non-profit, showing your appreciation to your supporters is right at the top of your list of priorities. At Printing Concepts, we always try to show support to our clients, and we know that a small gesture can go a long way when it comes to business and professional appreciation. Writing a thank you note shows that you care, and that you take the time to think about your supporters. We learn this when we are young, say thank you and you shall receive kindness in return. The same goes for business. This great article from Emily Goodstein at npEngage.com says just that. Saying thank you never goes out of style, and is always considered best practices, especially for non-profits.